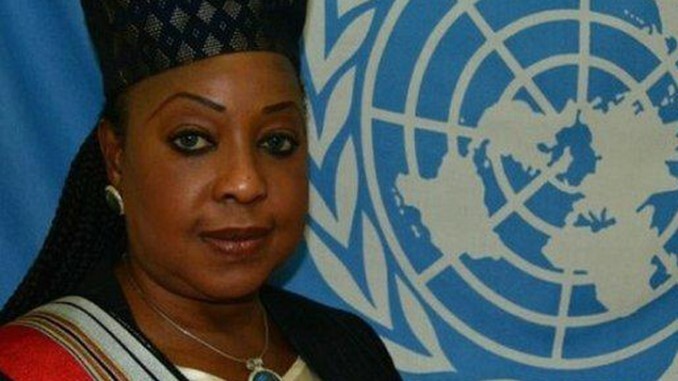 Senegal’s Fatma Samba Diouf Samoura has been appointed as Fifa’s first female secretary general. She succeeds former secretary general Jerome Valcke, who was banned from football-related activity for 12 years. Samoura, 54, spent 21 years working for the United Nations and will start at football’s governing body in June. “It is essential Fifa incorporates fresh perspectives as we continue to restore and rebuild our organisation,” said Fifa president Gianni Infantino. Samoura’s appointment, announced at Fifa’s congress in Mexico City, completes a new-look to an organisation which has been dogged by corruption allegations under Valcke and previous president Sepp Blatter. On his appointment in February, Infantino said he would “work tirelessly to bring football back to Fifa and Fifa back to football”. Samoura, who will undergo an eligibility check before her role is ratified, currently works for the UN in Nigeria, and speaks four languages. She started her UN career as a senior logistics officer with the World Food Programme in Rome in 1995 and has since served as country representative or director in six African countries, including Nigeria. “Today is a wonderful day for me, and I am honoured to take on this role,” she said. “This role is a perfect fit for my skills and experience – strategic, high-impact team building in international settings – which I will use to help grow the game of football all over the world. “I also look forward to bringing my experience in governance and compliance to bear on the important reform work that is already underway at Fifa.